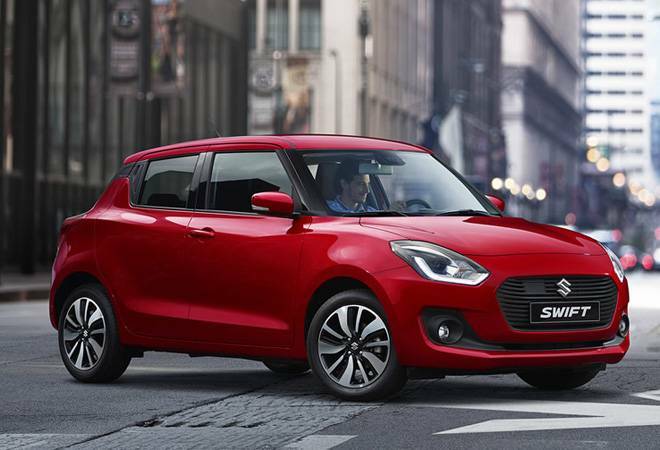 Finally Maruti Suzuki officially announced its most favorite segment car – Swift 2018. After impressing everybody by the road test, the new generation Swift goes on sale in India with starting price of Rs. 4.99 lakh and it’s no doubt the most sought car at the ongoing 2018 Auto Expo in Greater Noida. Swift witnessed a great improvement in terms of Looks, features, interior design as compared to the previous model. 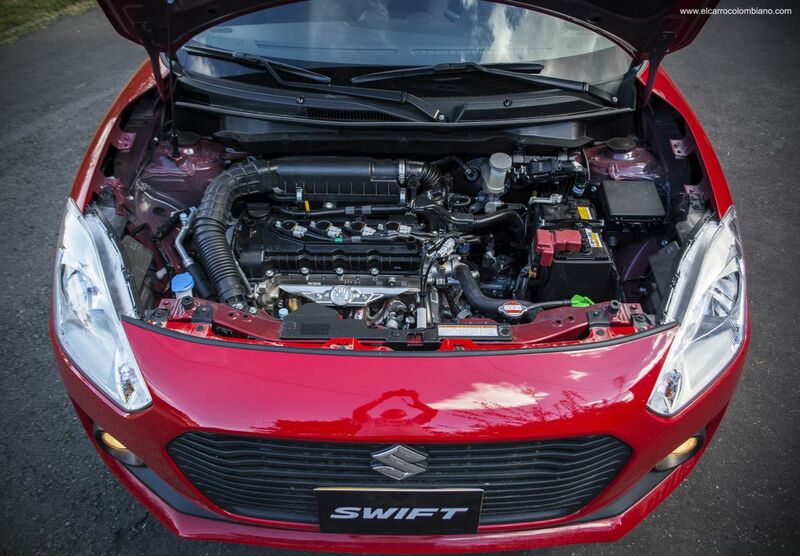 The third-gen of Swift comes up with the petrol & diesel engine. Maximum power of 61 Kw @ 6000 rpm & Torque 113 Nm @ 4200 rpm with 4 cylinders. Coming to the suspension front one is Mac Pherson strut and the rear is Torsion beam with the fuel tank of 37 litres with Electric Power Steering of 4.8 Turning Radius. Front Brakes are Disc while the Rear one’s are Drum with Tubeless tyres of 165/80 R 14 and never the less The 1.2-litre petrol engine has improved fuel economy of 22 kmpl while the 1.3-litre diesel offers a highly impressive 28.4 km per litre. Dimensions 3840 mm in length, 1735 mm in width and 1530 mm in height with a wheelbase of 2450 mm. 163 mm of ground clearance and comes with 15-inch wheels in all variants. The all new Swift brings the proper comfort zone like Gear Shift Indicators, Power & Tilt Steering, Headlamp on Reminder, Front Accessory Socket, Multi Information Display, Remote Back Door Opener, OVRMs. Never Compromising with Safety Features this time brings Engine Immobilizer, Dual Front Airbags, Pedestrian Protection Compliance, Iso Fix as well as ABS with EBD. Exterior is also changed with LED Rear Combination Lamp, LED High Mounted Stop Lamp, Steel Wheels and Body Coloured Bumpers. Front Dome Lamp & Meter Illuminator (Amber) are enhancing the beauty of interior of the car. Swift 2018 comes with a sharper exterior with a more pronounced front end. It features projector lamps with LED DRLs, a sporty front bumper, floating roofline design, pillar mounted door handles, a completely revised rear profile, etc. Magnificent goods from you, man. I’ve understand your stuff previous to and you’re just extremely magnificent. I actually like what you’ve acquired here, certainly like what you are stating and the way in which you say it. You make it entertaining and you still take care of to keep it wise. I can not wait to read much more from you. This is actually a great web site. I like this web blog very much, Its a very nice post to read and get info . “There are two ways of spreading light to be the candle or the mirror that reflects it.” by Edith Newbold Jones Wharton.